What is the best electric fireplace insert? Fireplace Inserts are fireboxes that are designed to go into an existing fireplace opening, or which form the center of a more traditional fireplace feature. Fireplace inserts are generally more square than linear, and may contain logs or crystals on the ember bed. Log Sets are like the guts of a regular insert, without the box around them. They usually consist of a grate that may or may not conceal a heater, with ceramic logs on top. The flames are reflected off an integrated backdrop, or off the back of the fireplace itself. 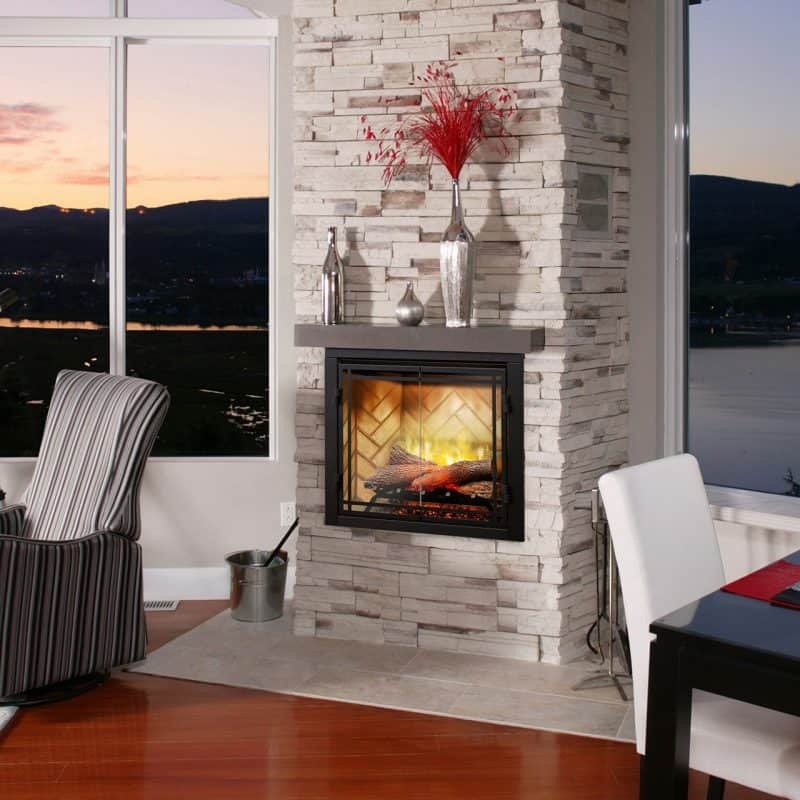 In order to answer ‘What is the best electric fireplace insert?’ we need to understand how you want to use it. What is the best electric fireplace insert for my existing fireplace? The most limiting factor in choosing an electric fireplace insert for an existing fireplace, is the size of the opening. There is no such thing as a ‘standard’ fireplace opening – they come in all shapes and sizes. Our challenge is to find an insert that fits perfectly. If you plan to reface the existing fireplace surface, then you have the option to resize the opening size to fit a new insert. This means that your new insert can be slightly smaller than the opening, and the gaps will be covered by the new materials. Occasionally, you can even make the opening larger, and size the insert accordingly. If you are not covering over the existing fireplace surface, then you must find an insert that fits into the opening with no gaps. This is challenging and sometimes impossible. That’s where log sets come in. Because there is no ‘box’ around a log set, it will often fit into an opening that won’t hold a firebox. Log sets will fit into much smaller openings than most inserts. What is the best electric fireplace insert for my new cabinets? Balance the size of the electric fireplace insert with the size of any art or TV that will be hanging above the fireplace. You don’t want the feature wall to look unbalanced or top-heavy. Most electric fireplace inserts come with traditional logs. If you prefer something else, then look for an insert that comes with crystals. These crystals are usually loose and can be replaced with stones, driftwood or anything else that you want. 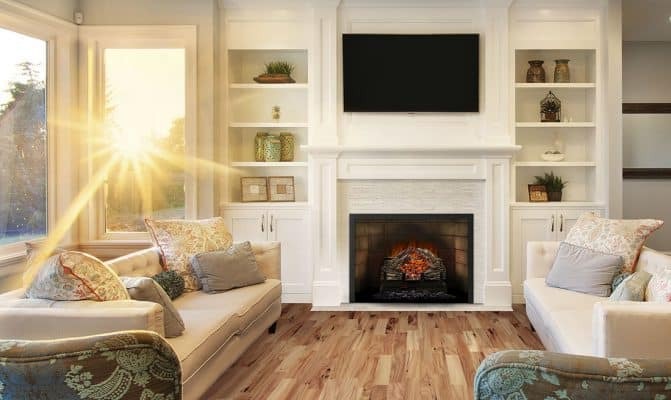 If you plan to use the heater to take the chill off a cool space, look for an electric fireplace insert that has a thermostat built in to the remote. This will allow you to set a specific temperature, and the heater will automatically turn off when the room reaches that temperature. This saves energy and avoids overheating the room. For added realism with your electric fireplace insert, consider adding a screen to the front of your fireplace. This is possible with log sets, as well as some fireboxes that offer optional glass doors or faceplates, rather than integrated glass fronts. 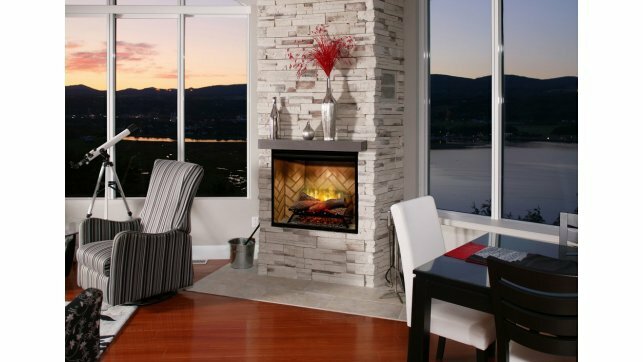 Stylish Fireplaces & Interiors specializes in electric fireplaces and custom designs. 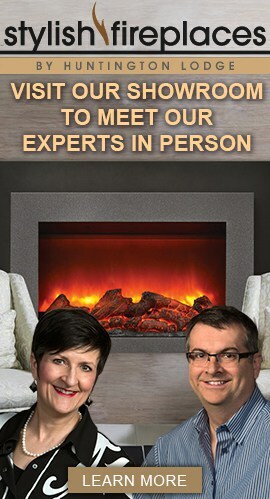 Their Toronto-area showroom features over 50 electric fireplaces, plus the finishing materials for any project. Their expert staff have the experience to advise on installation and design. This entry was posted in Electric Fireplaces and tagged electric fireplace inserts, electric fireplaces, fireboxes, log sets. Where is the best place to buy an electric fireplace? How will an electric fireplace save me money?